George Colony, CEO and founder of technology focused Forrester Research, says that Apple is poised to decline in the post-Steve Jobs era. Apple's co-founder and charismatic leader died on October 5th after a long battle with pancreatic cancer, and was replaced by CFO Tim Cook. The analyst doesn't see Apple suddenly falling apart. Instead, he thinks that the Cupertino based firm will still be on the rise for another two to four years, riding the amazingly strong momentum of the Apple iPhone and Apple iPad. Colony says that the problems coming down the road for Apple will stem from Cook's lack of charisma and the analyst sees the company slipping from being a "great" firm to one that will be merely "good," with a decline in product innovation and revenue. The analyst, citing sociologist Max Weber, said that "Charismatic organizations are run by people with 'the gift of grace," but when those leaders depart and are replaced by a more bureaucratic leader, the change can be jarring to an organization. Colony notes that not only does Apple itself need a "magical leader" to replace the "magical leader" who is gone, but that Apple's customers also demand the same thing. With that in mind, the analyst believes that Apple executives Jon Ive and Scott Forstall both better posses the qualities that were found in Steve Jobs than Tim Cook does, and either would have been a better choice to replace Jobs as the tech titan's CEO. Apple hardly looks like a organization in trouble after reporting its fiscal second quarter earnings. Thanks to a better than expected 35.1 million units in Apple iPhone sales, the company topped analyst's estimates by reporting $12.30 a share in earnings. Wall Street had been looking for Apple to report $10.04 in earnings and the report helped the stock break a downtrend that had quickly taken nearly $100 off the company's all-time high. Apple rose nearly $50 a share on Wednesday alone. The earnings report combined with the still-heavy demand for Apple's iconic smartphone has some brokerage houses expecting the stock to hit $1,000. But if Colony is right, there is plenty of danger lurking ahead for Apple investors. We can predict what the analyst expects Apple to be like once the decline has set in. Colony compares Apple post Jobs to Polaroid after the departure of inventor and founder Edward Land. That company ended up bankrupt and its name sold to another company. He also looks at Disney in the 20 years after Walt's death. The company became as bland as white rice with its G-rated movies not making any dent at the box office. It wasn't until another charismatic leader, Michael Eisner, took over that Disney prospered again with cutting edge movies. Another example Colony gave was Apple itself, following Jobs removal by the board in 1985. The stock dropped as low as $12 and under John Sculley, the company was on the verge of bankruptcy. It took the return of Steve Jobs to turn things around. The analyst sees Apple coasting and then decelerating. I agree with this prediction: it's the fact that Apple was NOT a succesful company, but a charisma-driven religious following that constituted paradigm which will eventually be filled with competition. Meanwhile, Apple will slowly but surely fall, and it will become clear that nor the quality nor design nor logistics are responisble for their success, but the cult dimension of shizophrenic intrusion of messianic character like Steve Jobs. Based on? Did he use too many big boy words for you? Did the absence the word "magical" throw you off? He gave a very precise and well put together stance. You responded with 3 words. Pretty clear who the idiot, excuse me iDiot, is here. I actually gotta give Taco some credit. AppleConspiracy's post is actually inaccurate. Apple's design, logistics, and quality are all major determining factors in its current success. We like the idea that there is something more at work here, but in reality, while some people buy Apple products just so they can say they have them, the majority of Apple users are just repeatedly satisfied with their experience, and thus, return. Fair enough, I guess if the only meat you've ever eaten was rotten Spam and have never tried filet mignon how would you know you're eating crap. yep, analogies are cool. feel free to let me know if you come up with any reason a moderate user (talk, text, email, web, games) like myself and the majority of the population NEEDS anything more than the iPhone. The numbers that witness customer satifaction of Apple's products are unreal: as much as 95+ percent of Apple users are extremely satisfied with their products. That means only a small number of users who are dissatisfied are a very narrow deviation that can be understood as a exclusion from the rule. This is impossible without it being a sort of religion, no matter how much quality they give. Many other companies in different fields have same quality or logistics as Apple, however they can't get near Apple's success in that matter. The reasons can be given only by psyshoanalysis: if the object of your desire is constructed, that means everything that represents that object is allways satisfying because the rules are made from this object, not from some external reference point. For instance, when first iPhone was introduced, its lack of MMS, delivery reports and other "rules" of mobile communication was never a true problem, because Apple never complied to external refrence. It was the reference itself, and therefore it had allways great customer satisfaction. Only after that the World introduced "a posteriori" rationalizations, to justifiy those interventions they have just dicarded "old rules", just to put Apple in unique position. Businessmen never truly understood this phenomena, because they are not educated in culture, psychology and phlosophy, so they invented the reason for Apple's success where they could understand it. Frankly, the reasons are complex and time-dependent, but most of them are just not properly understood mechanisms of cultural dynamics. It means that for success you must be in the right moment in the right place to achieve what Steve Jobs and Apple achieved. It cannot be copied and repeated, but that doesn't mean its beyond our comprehension nor that it is reducible to industrial economics. Agree, brand name fashion! +1 for you! The problem lies with the fact that most of these iOS users aren't like us on PA and don't look to see what else is on the market. I spec don't really matter, most people want the iPhone because it is an iPhone. There are phones on the market right now that are better than the 4S. Furthermore the 5 is probably going to have sales numbers disproportionate to the actually margin of improvement that Apple has made to the device in comparison to other high-end phones on the market. Most people don't buy iPhone for specs. They return to apple because of the belief (pop. media is mostly the cause) thats having an iPhone says something positive about there character. We see it all the time: "I have an iPhone so I have money" " I have an iPhone so I'm cool and belong to the elite culture" "I got an iPhone because I'm still young". This is defiantly the not all the iPhone uses but, it's the arguable the majority. iPhone's success is greatly depended on ad, media and commodity fetishism. Clearly this is just backlash just because you think Tim Cook can't cut it compared to Steve Jobs even though Jobs most likely laid down a 10-year outline for Cook to follow before his passing. The innovation was not just by one man alone rather than a whole company in-sync in which today is worth more money than the US treasury itself. By your logic, if all company's mascots (like Andy the robot) were replaced they would eventually fail? Ignoring the morons post I too wonder how Apple will fare. Steve Jobs was a genius and without his influence it will be interesting to see how Apple fares. Well I think everyone is entitled to their own opinion but I kind of like to see hard facts and not just speculation about the future of a company with 60k employees. I'm always pro-competition so I hope to see every company live up to its potential. "By your logic, if all company's mascots (like Andy the robot) were replaced they would eventually fail?" That would only apply if the bulk of a company's success is derived from a spokesman or figurehead as the OP suggested is/was the case with Apple. There is evidence that supports that claim. After Jobs left/was forced out of the company in 1985, the company suffered. It wasn't until he came back that the company redirected itself into a positive direction and climbed to where it is today. Steve Jobs became a person that everyone thought of when they considered Apple. Android is a company that people don't associate with a person. To most, it's Android/Google and that's it. So, in that regard, no. If Andy Rubin were replaced, the public perception of Android probably wouldn't be much affected, either in a negative or positive way. Too many variables at hand to simply say what happened nearly 27 years ago can be valid evidence that Apple can or will lose it's potential. The market is different, consumer demand is different and Apple owns a vast variety of technology patents, software and even has a major role in the music industry. Any individual can see what Steve Jobs has done for the company but I don't think a $100+ billion dollar multinational corporation has the leisure of just planning only months ahead while the executives sit back in lawn chairs drinking mai tais. I think it's naive to believe one analyst can judge the fate of this company and it's humorous to think any individual on their own could. Apple works in tandem and though Jobs may have passed away, his visionary business model still exists. You're right, however, there's a difference between decline and total failure. It certainly is naive to think any analyst can predict anything that will actually happen to any company. It's also naive to think that the loss of Steve Jobs will have virtually no impact on Apple as a company. Above Jobs' technological mind was his marketing genius. While Apple's technology is some of the world's best, Apple's marketing is the biggest push in putting the company at the forefront. Apple no longer has that. Tim Cook, while he may be a fine CEO and a brilliant technological mind in his own right, doesn't have the charisma or overly forward thinking marketing mind that Jobs had. The article states that Apple will go from "great" to "good," not "great" to "panicking while spiraling into bankruptcy." I actually think you're underestimating Jobs' ability as a CEO to say that Apple while be almost unaffected by his death. No I do believe they will have a troubling road ahead, possibly a drop in revenue, but the talks of bankruptcy won't be in discussion for at least another 10 years. This...analyst just wants his five minutes of fame and because he's CEO of a research company his word is golden. Any individual could come up with that irrational prediction but I'd like to see what the future holds for Apple and allow them to secure it. 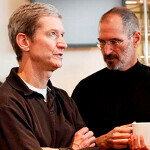 Jobs hasn't brought anything spectacular to the iPod department since 2010, hopefully this year will change. There is an obvious flaw with Mr. Colony's prediction. 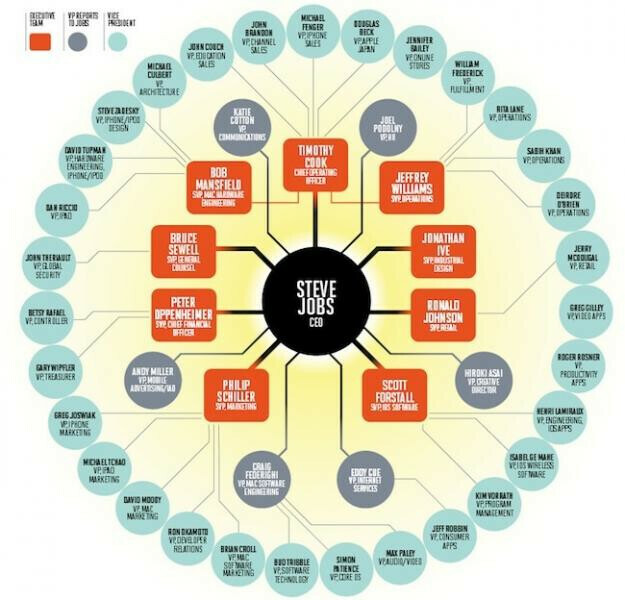 The original Steve Jobs lost a power struggle with the board and left Apple. The new and improved Steve Jobs returned after Apple already had its near-death visit. To be correct, Mr. Colony had to predict the post Steve Jobs after his second tenure, something that didn't happen at Sony or Polaroid or Disney. It is a deeply flawed analogy. The new and improved Steve Jobs made accountability a job requirement at the VP and up. VP's and up can no longer explain away their failures. It's a mean pressure cooker at Apple. Except he did explain like Disney made a come back with Michael Eisner. Just because it already has happened does not mean it cannot happen again. I think Apple will be just fine because the tech industry is reaching a plateau. All the companies will have the same tech available and innovation will stop for a moment in a few years. The next big thing could come from Apple or MS or Samsung or even RIM. Time will tell. When the time comes,android will rule.And samsung will buy out apple and jump to ios directly. I think this will happen sooner or later. Any company that does well and climb to the top has to come down at some point. But Apple will be fine as a company since they have a hugh fan base and sitting on top of a large money stash. I am an android fan and still wants to see Apple to be around. Android needs Apple to push itself to be better. Agreed. Apple won't go anywhere but you can only stay on time for so long. The iPhone is more than just a phone, it's a trend. And just like every other trend, they eventually die and go to something else. How is the iPhone just a trend? You act as though it's a Giga Pet or something. You don't make the kind of impact that iPhone or iPad did and say it's just a trend, especially when they have use in the classroom and in business. You may want it to be that, but it's not. And the company doesn't exactly have to die. If that's the case, why is Ford and GM still here after almost a century? Are people loyal to those companies sheep? Should we actually be buying Honda's instead? The one thing you don't get is that Apple is going to make what the general public will buy. Not you. You're a nerd. I'm a nerd. We want very different things than what the general public wants. That's mostly why you're angry with Apple. They don't make products for you specifically. But companies that cater to nerds usually fall because we are such a niche market. The smartest thing that companies started doing with Android was stop spouting off specs and finally start telling people what they can do with their phones. Apple will be just fine because they aren't focused on you.